Vaccinations are not as safe as advocates say, and ARE questioanble at the very least. You may be sitting on the fence regarding the vaccination issue. If so, please read on and use the links for more resources. If you know the truth about vaccinations, use the information to influence others. 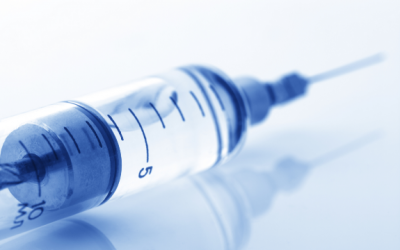 Bolster your arguments with the facts regarding polio and vaccines addressed here. You can use the words of medical professionals themselves with some quotes from doctors, medical researchers and holistic practitioners, on this site. Instead of defending yourself verbally, consider printing out the several pages of quotes by courageous medical professionals on polio vaccines and all others. But why does it take courage for an MD to question or speak out against vaccines, even if only against vaccine purity or quantity and timing of vaccinations? To get an idea why, you should hear from Dr. Andrew Wakefield as he recounts the slanderous, false accusations that led to his dismissal as a physician in England’s medical system. It’s just one example of the fallout experienced by doctors who simply question vaccination efficacy and safety, even moderately. The disappearance of iron lungs, those huge devices resembling miniature submarines in which polio victims were placed to help them breathe, has led most to believe the problem of polio is over. But the iron lung has merely been replaced with another, much less unwieldy medical device known as the ventilator. Ventilators are used now to help those stricken with any form of breathing restrictions, whether from completely congested lungs, polio, or other paralysis that makes it impossible to breathe normally. According to Dr. Suzanne Humphries, shortly after 1955, a cover-up was created to hide the fact that the polio vaccine was spreading polio. Dr. Humphries went on to explain how a deadly live polio virus strain had infected the Salk vaccines and created an epidemic of polio-type diseases labeled aseptic meningitis or Acute Flacid Paralyis (AFP). The term AFP includes Guillain-Barre’ syndrome, traumatic neuritis, Reye’s syndrome, enteroviral encephalopathy, transverse myelitis and poliomyelitis. Dr. Humphries displayed a graph in her article showing how reports of polio leveled out while AFP cases continually soared since the mid-1990s, demonstrating that polio has not disappeared. Dr. Lorraine Day also explained that vaccines don’t work in an interview. After polio vaccinations had begun, polio was assigned different names to hide the vaccines’ ineffectiveness. She claimed that 80-100% of polio cases were created by the vaccine itself. But few knew this because the name was changed to aseptic meningitis. Polio peaked in the early 1950s and was on its way out prior to the introduction of the Salk polio vaccine. Then came the oral Sabine polio vaccine (OPV) invented by Albert Sabin, which was created with the notion that one who drank it would shed its live polio viruses to others, thus also “immunizing” them. The OPV was eventually banned in the USA and shoved off to third world countries. Those countries experienced increased polio outbreaks. The live viruses contained in OPVs tended to recombine and mutate into a more virulent virus strain. There was even a case in the United States where a father was stricken with polio from OPV viruses while changing his toddler’s diapers. Vaccines are often fast track approved, cheaper to produce, sold to governments in large lots, and administered without financial liability – especially in the USA where a special court is set up to pay vaccine injury claimants who make it through the red tape after they’ve managed to find it even exists. That court is the The National Vaccine Injury Compensation Program, commonly called the “Vaccine Court”. The Vaccine Court uses a combination of government (taxpayer) funds and small taxes from vaccine manufacturers to pay those who are able to prove they or their child was injured or killed by a vaccine. And it isn’t easy because there are no peer appointed juries, only small panels of “experts”. If payments are made, claimants are gagged from speaking about the case or the payments covering medical expenses will be stopped. As a private court with special judges and no juries, facts regarding each case are withheld from public scrutiny. Edward T. Haslam’s father was a noted physician who worked at Tulane Medical School in Louisiana right at the time that polio vaccines were widely administered in the US. Haslam’s book, “Dr. Mary’s Monkey,” reviews aspects of the tainted monkey virus (SV-40) that was contained in the polio vaccines that were freely given during the late 1950s and early 1960s that he directly links to the cancer epidemic of the past few decades. You know what this could be? A sneaky way of allowing more deaths to reduce the population in one of the most wasteful countries. It certainly works that way. Unfortunately it also offers a means of starting an epidemic also. Please, show me the peer reviewed studies. Right…I didn’t think so. “Peer reviewed” doesn’t mean jack when the industry participants have a financial incentive to come to one and only conclusion. Like global warming. Which is caused by the sun and the spatial orientation of earth. It would be sufficient to provide the data for us to evaluate ourselves. This article did not provide us with a *single* piece of actual data. The linked interview to Lorraine Day was a joke. She also did not provide a *single* piece of actual data to justify her position. The commonly accepted position is that vaccines provide protective immunity against a variety of pathogens. If one wants to claim that this is not the case then the burden is on them to provide data to support this position. Vaccine proponents’ primary assertion is that our natural (“God given” if you will) immune system is not up to the task, and that augmentation by the injection of mercury, formaldehyde, aluminum, monkey kidney tissue, SV40 cancer virus, etc., directly into the bloodstream can improve it. The burden of proof is thus on them. The first link in this article refutes most – if not all – of their assertions. Why other doctors of course. Vaccinations have been a proven science for some time. But those living as contrarians and setting up niches they can gain wealth from, and their marks who come willingly, are a boon for them till the Feds get them for quackery. Doctors don’t develop vaccines, they administer them. Would those be the same peers who are on the vaccine court? Or did you not read that far?